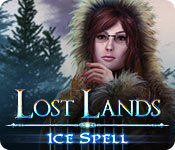 Lost Lands: Ice Spell is rated 4.6 out of 5 by 19. Rated 5 out of 5 by Kimmycoo from What a surprise! I loved this game! I loved the story line and the characters, the voice overs, the unique puzzles and HOS. I cried at the end of this. I was so surprised at how long the game was and just how good it is! This is a must play guys! Rated 5 out of 5 by worlockslady1 from Another great game in the series. I completed the game. Great game! The length was just right-not boringly long but not too short. The puzzles were challenging but not stupid hard. A good amount of HO's and they were not "just find", it was "find and use". I loved everything about the game and hope the company keeps making more like this! 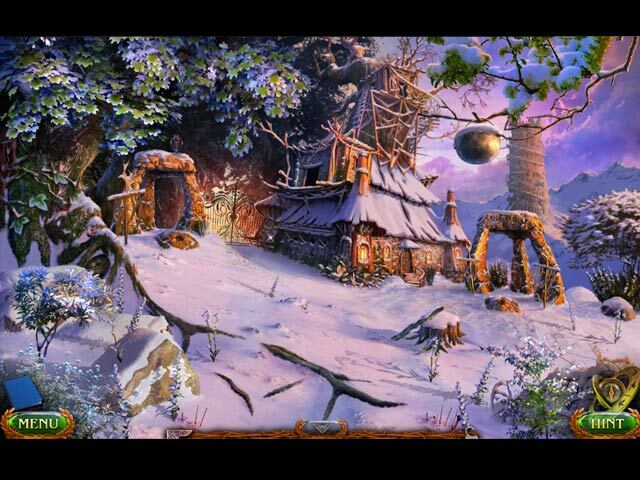 Rated 5 out of 5 by Celestien from Extensive game with good story line I LOVED this game. It went on and on, and again new areas opened up to be explored. The characters were actually worked out well and the story kept me going. Having to perform some magic myself by spelling casts added an extra for me, too. The graphics are beautiful: all these worlds, with snow or gloomy trees. I played for a long time and was still sorry to have finished it. Okay, there is quite some going back and fro, and not always in a logical manner (like when you've done much effort to get a train going to reach another area, and then have to go back to pick up one single item and then go back again). But luckily there is this interactive map. Now this is what I call value for money. 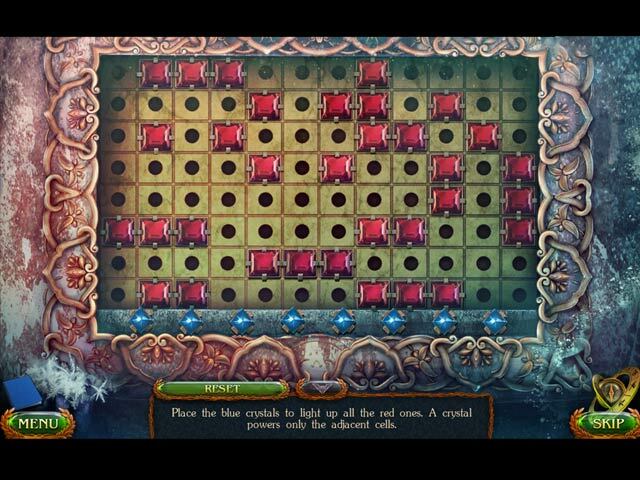 Rated 5 out of 5 by Lucylulu82 from Great game! Really enjoyed this one. It was action-packed and different. Like a little RPG and you got a few companions along the way. The puzzles were great, not too difficult but not too easy. I did have to skip a couple though due to frustration but it was still great. It took me about 2.5 hours to complete it. I'm going to get another Lost Lands game now as this was brilliant. Rated 5 out of 5 by MisterBear from It earns a 5 I've told myself I won't rate a game a 5 unless it really, really earn it. Well this game does that in spades. 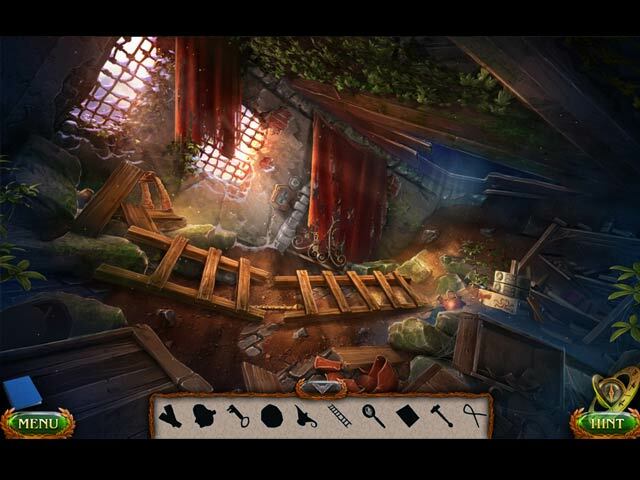 The story line is great, the graphics wonderful, the audio engaging, and the puzzles fun. The length of the game was great. I'll warn you now, it ends with a cliff hanger. I can't wait for the next in the series! Rated 5 out of 5 by ipprocessdoc from Two thumbs up! It's not often that I give a game 5 stars but this one deserves it. My review is based on playing the entire game. The story is pretty interesting even though that's never a deal breaker for me. I have never played any of the Lost Lands games before so have to assume that the lead character is in all of them. There are quite a few cut scenes but it is not distracting and adds just the right information. There are a lot of areas that need to be visited but there is a map so if you get lost (like I do) you can consult the map for the way to get to a location. Or you can just hit the location on the map and go there if you like the fast route. Most important for me is the puzzles. If the puzzles are too easy, it's not a good game. This one has just the right level of challenge. some of the puzzles actually take a bit of time to figure out. Some are way too easy but there is a good balance. I'm going to go and play another one in this series to see if they are all like this. Have fun! Rated 5 out of 5 by wildflowerAbz from I have been engrossed in this for 2 full days I really enjoyed this game, the storyline was decent - the voices were a little cheesy but that didnt take away from the game. I enjoyed the locations, the mini games and the challenge as i set the difficulty to high, however it wasnt fustratingly difficult. This one kept me hooked for hours on end and I will be buying the others in the Lost Lands series. Rated 5 out of 5 by miansc from LOOKING FOR A FUN CREATIVE GAME? Well if so, look no more this game is that and more. I played the CE and still have it on the computer to play again very soon. The story drew me in right away and what helped to make it this way was the fantastic graphics. I can not think of anything to add because it really is one excellent game in every area. Enjoy!